Growing up in Nigeria, Albert Ayeni developed a fondness for local peppers that set his mouth on fire. "We love the hotter ones," he said with a chuckle. But as a Rutgers University biologist who develops new crops for American farmers, he knows he must appeal to a broader palate. Hey, Peter Piper! Sink your teeth into the pumpkin habanero. The bright-orange peppers measure 30,000 to 50,000 units on the Scoville heat scale — less than one-fifth the rating of a traditional habanero. 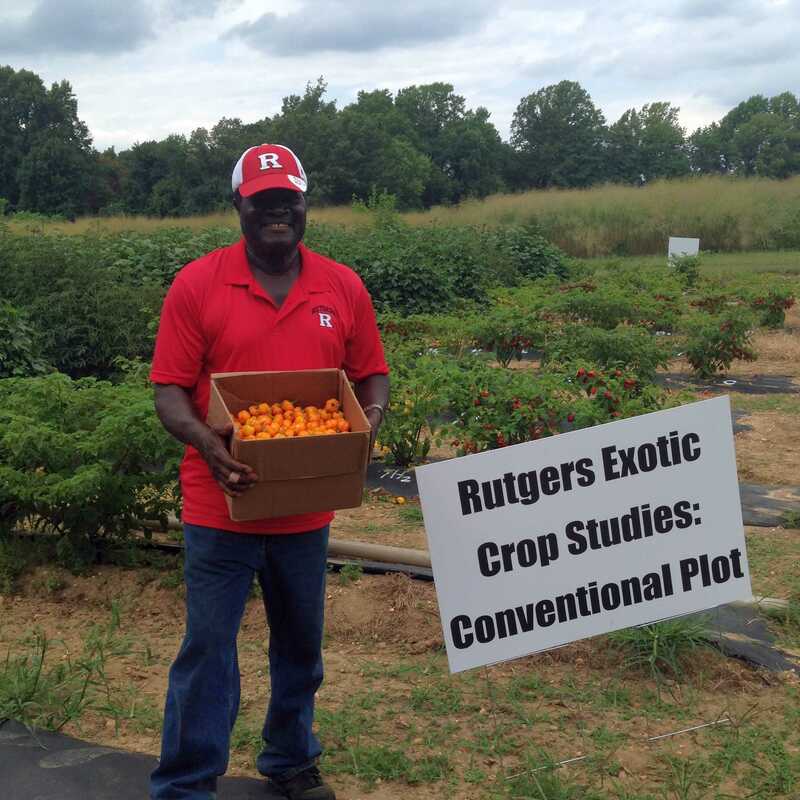 Rutgers biologist Albert Ayeni with a box of pumpkin habanero peppers, a less-spicy variety that he and colleagues developed by cross-breeding. Ayeni and his colleagues produced the new pepper by crossing varieties of Mexican and African habañeros, a process that began in 2010. Pumpkin habanero seeds and plants — but not the peppers themselves — will be sold for the first time on Saturday at the Rutgers floriculture greenhouse in New Brunswick and at other locations in New Jersey throughout the spring. Find them on May 6 at the Eco Fair in Millville, and on May 13 at the Master Gardeners of Atlantic County plant sale at the Galloway Township library. A prime goal of Ayeni's research is to develop high-value niche crops that make economic sense for small farms in New Jersey and elsewhere in the mid-Atlantic region. In addition to its lower heat rating, the pumpkin habanero is high in antioxidants, calcium, magnesium, and beta carotene.